Do you need a drain cleaning service in Bristol CT? Whether you have a leak in your drain, or a stubborn clog, we have the expertise you need! 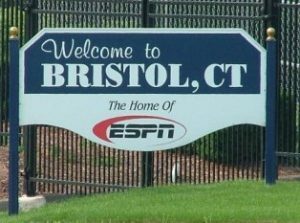 As a family run business, we have been working in the Bristol, CT area for over 10 years. At Allied Drain Cleaning we take pride in giving the highest level of service to each of our customers, both residential and commercial. We have a dedicated team of Bristol drain cleaners who are fully trained and stocked with the best equipment to provide you with a swift, hassle free drain clean. Did you know we also offer sewer cleaning and repairs too? Our drain cleaners service both residential and commercial clients all over the greater Hartford area including Bristol. We have countless 5 star reviews from our happy customers! As a specialist drain cleaning company, we have access to best and latest technology to save you both time, money and hassle. We only excavate where absolutely necessary. We never perform any unnecessary work. We take time to identify the exact cause of your blockage so that we can quickly and safely clear the problem. At Allied Drain Cleaning we take pride in using eco-friendly products that clean your pipes without the need for harmful chemicals. Our team have lots of experience tackling all manner of drain clogs. We can help with blocked or damaged drains and sewers of all kinds. There is little we can’t do when it comes to drain cleaning and repair! Give us a call! Schedule your affordable Bristol drain cleaning service today!